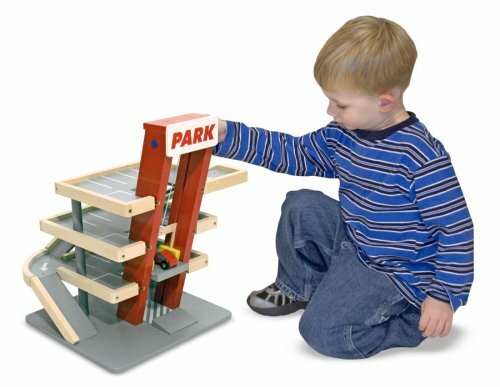 Your little speedster will love taking a spin around this wooden parking garage by Melissa & Doug. With four levels, the possibilities are endless. The garage includes two fast-rolling cars, a hand-operated elevator, a gas station, car wash, and toll booth with attendant! All of Melissa & Doug's products are safety tested to be sure that the paints and coatings meet or exceed government standards. Great for pretend play or for storing toy car collections!